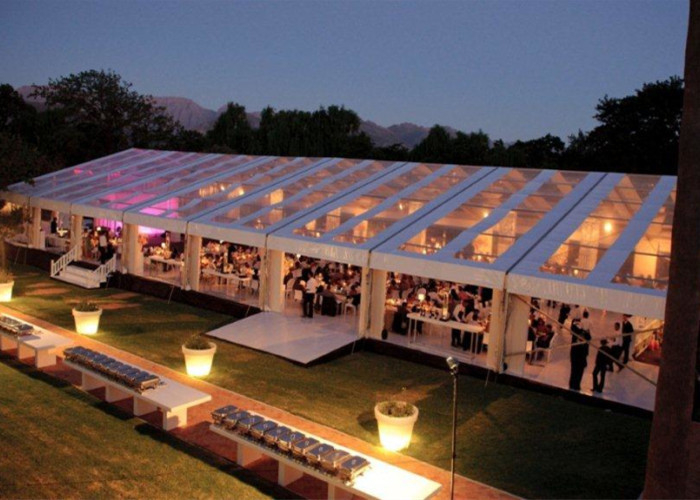 People can see through from this tent in the garden. 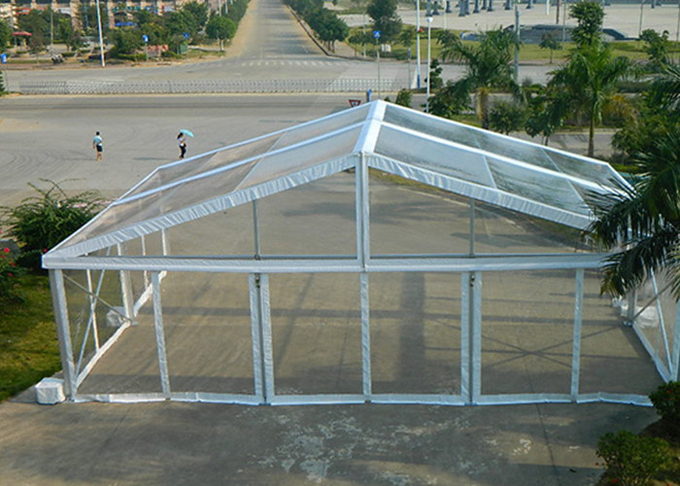 This 12x30m clear tent is with heavy duty aluminum structure, transparent roof and side walls for 300 people’s wedding. The roof cover and side wall cover are transparent high quality double PVC-coated polyester textile, 100% waterproof, flame retardant to DIN4102 B1, M2, CFM, UV resistant, tear resistant, self-cleaning ability, etc. The roof cover can be replaced by white pvc. 2. Better view from inside of the tent. 4. Long life span for heavy duty aluminum structure.